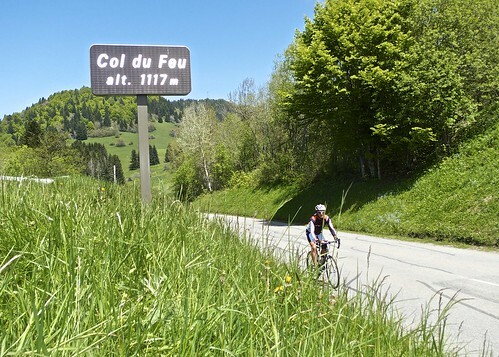 Fairly well known among Geneva cyclists is some version of the 10 Col Vallée Verte loop. 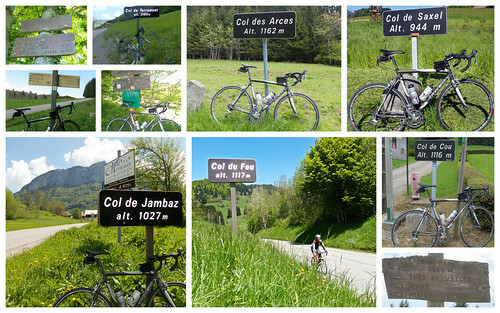 Fairly well known among Geneva cyclists is some version of the 10 Col Vallée Verte loop. Of course real (wo)men start from Geneva, whereas I started at the bottom of the first climb. In order: Cols: Saxel, Ludran, Perret, Avernaz (Plaine Joux), Jambaz, Terramont, Feu, Arces, Moises, & Cou. To be clear, by no means does the loop in the map below completely climb each Col – or try to climb the hardest side of a given col. Starting at the base of Col de Saxel the routing is designed to get to the summit of each climb as directly as possible. Just some silly fun. It was roughly 80 kilometres with 2100 metres ascent. One could easily construct a far harder version of the same challenge. The Vallée Verte is just south of Lake Geneva (Lac Léman) in Haute Savoie France. 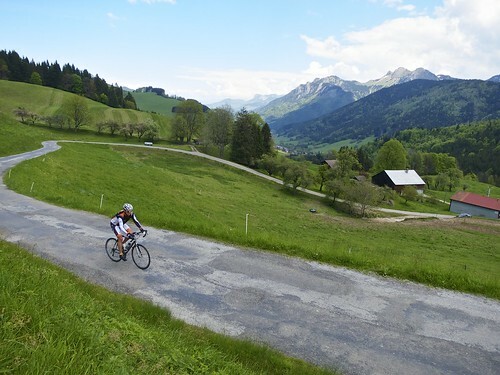 Part of the Chablais Alps, it’s full of quiet roads and loads of small to medium climbs. The entire route ranged from quiet to very quiet. For more routes in the Vallée Verte see here. Going to try three or four of these tomorrow. Thanks for the site, maps and info, it’s a great source. Did it yesterday…. What an amazing ride! Thanks for the inspiration. English speaking expat cyclists should erect a monument in Geneva for you.